WE USE SUNSCREEN IN TEXAS BECAUSE. . . This page is constantly changing, so ya'll come back soon! 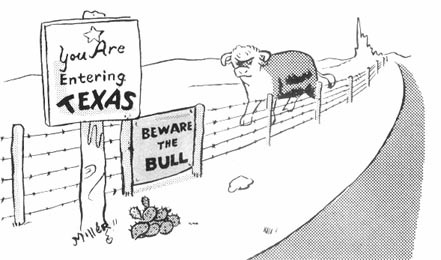 Do you know of some good clean Texas jokes to share with our visitors? If so and you would like to donate them, please email them to me. Thanks. Some graphics were made from "The Jokes On Texas, second edition, 1955.